There are so many people who avoid orthodontic treatment because they cannot stand the thought of wearing braces or they believe that braces will be very uncomfortable. For a lot of these people, technology today has provided an alternative called Invisalign. Today, Invisalign® aligners are a viable alternative to braces for certain types of cases. With traditional braces, you have to have brackets cemented to your teeth. Then, a wire is connected to each bracket to force your teeth into the correct position. With the Invisalign method, you are given clear, removable plastic aligners that you can wear while you sleep! 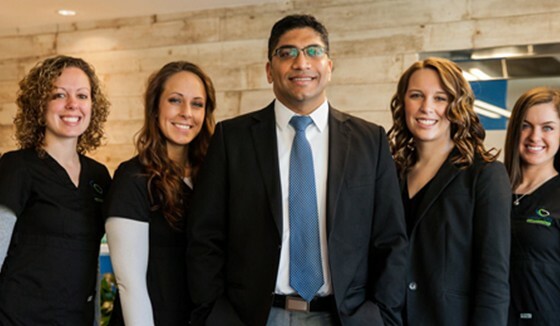 Dr. Thomas and the team at Center City Orthodontics, are the top VIP Philadelphia Invisalign provider. 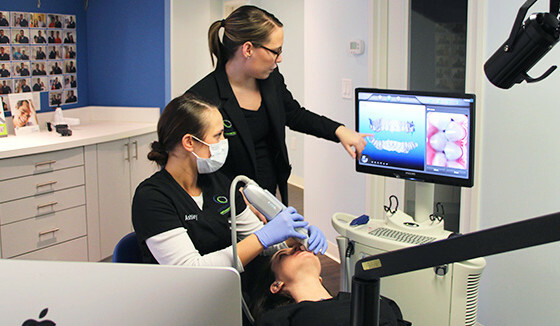 They utilize a digital scanner (so no messy impressions) to take 3D images of your teeth and, from these, accurate custom-made aligners are fabricated. Invisalign treatment consists of a series of these aligners that you change every two weeks over a course of treatment lasting six to eighteen months depending on the complexity of the case. Each aligner is worn for a two-week time-frame and appointments are usually every eight to ten weeks to pick up the next set of aligners. Aligners can be removed to eat, drink and brush your teeth. Contact Dr. Thomas today at 215.800.1495 to schedule your complimentary consultation and find out if Invisalign or Invisalign Teen is an option for you.